Finding a consensus about what to do next and how, then, becomes difficult. And that is one reason why I find Bill Gates an interesting voice on energy issues. Having spent his life in IT and philanthropy, his views do not fit into a single box—and are all the more refreshing for that. He does have skin in the game. In 2015, he founded a $1 billion clean-energy fund, the Breakthrough Energy Coalition, which is devoted to research and development on clean energy. He also has been active on issues related to climate change and nuclear power. Terrorism is all too real a threat, and the brutal series mass attacks in Europe and Middle East is causing a special kind of fear. Terrorist movements like ISIS kill the innocent for the worst of causes and the worst of reasons. They seek to use fear to separate the West from the Muslim world, and to divide the Muslim world and dominate it. They try to use alienated Muslims in the West to create a growing climate of anger and distrust with Europe and the United States. They deliberately seek to get the West to overreact and lash out against all Muslims and Islam, just as they try to use extremism and violence to try to get the populations of Muslim countries to attack their own governments. They also feed on Western ignorance of Islam, and the fear of new and unfamiliar risks. Americans and others in the West have learned to live with most forms of mortality. We accept the fact that life has a wide range of risks, almost all of which are far more serious than terrorism: Lightning, suicide, traffic, disease, home accidents produce far more deaths. The fact remains, however, that Americans, Europeans, and others inside and outside the Islamic world, must learn a grim reality at the popular and political level that many security and counterterrorism experts have known for years. Even the most effective counterterrorism efforts can contain and limit terrorism, but cannot “defeat” it. Moreover ISIS is only one threat among many, and many of its fighters will survive and continue to pose a threat. No attacks of “wars” on ISIS or any other mix of extremist movements can address the deep causes of alienation and unrest in any Islamic world that has the most rapidly growing portion of the world’s population. These causes are complex, and no one cause dominates the motives of the small minority in Islam that is responsible for terrorism. They are, however, so serious that it will be a decade or more before they can be fully addressed in largely Islamic countries, and intolerance and alienation act as a separate series of motives for Muslims living in the West. While much of the world’s attention is focused on ISIS and on terrorism, massive changes are taking place in the military balance of the Gulf, the Iranian threat, and the nature of U.S. and Arab Gulf forces. The classic military balance in the Gulf region is driven by an accelerating arms race between Iran and its Arab Gulf Neighbors. The Arab countries are decisively winning this arms race. This aspect of the balance is also shaped by outside forces, particularly by the level of U.S. commitment and power projection capability to assisting its Arab security partners, although Russia and China are potential wild cards. It is also shaped by Iran’s steadily improving capabilities for asymmetric warfare in supporting pro-Iran elements in Arab states, in developing the capability to threaten maritime traffic in and near the Gulf, and to pose a ballistic and cruise missile threat to its Arab neighbors that compensates for its limited conventional capabilities. We often talk about the need for people to prepare for emergency situations. In relation to personal preparedness, I'm frequently asked, "What equipment do you carry with you?" In fact, several people raised that exact question last week when I was teaching a course on travel security. As I replied, it occurred to me that Stratfor readers might also be interested in my answer. So, if you'll indulge me, I'd like to divert a little from the usual Security Weekly format to discuss it in the hope that readers will come away better prepared for emergencies. As we've discussed in the past, fire is a vastly underappreciated threat. Far more people die each year from fires - mostly from smoke inhalation - than from terrorist attacks. But as we've seen in places such as Benghazi and Mumbai, fire can be used as a weapon during an attack. As my friend and colleague Fred Burton mentioned in the video above, there is something of a size-versus-effectiveness trade-off when it comes to smoke hoods. The larger hoods generally provide better protection against dangers such as carbon monoxide and toxic gasses, but many people, including me, find the larger hoods too bulky for everyday carry. There are some very good compact hoods that provide protection from carbon monoxide, but since they use compressed oxygen cylinders, passengers are not permitted to take them on board aircraft (although flight crews use the same smoke hoods). Since I travel by air often, this style of smoke hood simply is not practical for me. But if I lived in New York or Washington and took the subway or bus in my daily commute to work, I would carry this type of mask. By contrast, if I worked in a high-rise office building or lived in a high-rise apartment building, I would keep one of the larger, bulkier smoke hoods in my office or bedroom - and have one for every member of my family or staff. Our logistics base for 4 Sikh in Poonch was near the old palace of its former King that was designed like a European castle. Our Officers’ Mess was called Joginder Mahal and was located in the house of a former jagirdar. Outside Joginder Mahal, under a Chinar tree, were the quarters of Havaldar Raja Singh, the unit mascot of 4 Sikh – a six-foot tall (when standing), 250 kg Himalayan black bear! Raja’s original home was in the forested Loran Valley at the base of the Pir Panjals, where one of our long-range patrols rescued him from a pack of jackals. He was just two or three months old then and apparently had been separated from his mother. Raja was brought back to the unit and enrolled as the unit mascot. As per military tradition, he was given a regimental number and also authorised rations, uniform and veterinary services. Kalu Ram, our barman, was made his keeper and instructor. Raja was a fast learner and was soon learning a new trick every fortnight. He also grew up fast and in two and half years, he was a fully-grown, handsome animal. His rations increased to be equivalent to that of five soldiers and rules had to be bent to feed him. And why not? After all, Raja did everything along with the soldiers at the logistics base. He was up for physical training at 6.00 am, did three to four hours of training and one hour of games in the evening. He learnt the basic military drill movements of savdhan, vishram and salute. A dummy rifle was obtained for him and apart from rifle drill movements, he could also adopt the prone firing position. He would salute us whenever we came out or went into the Mess. 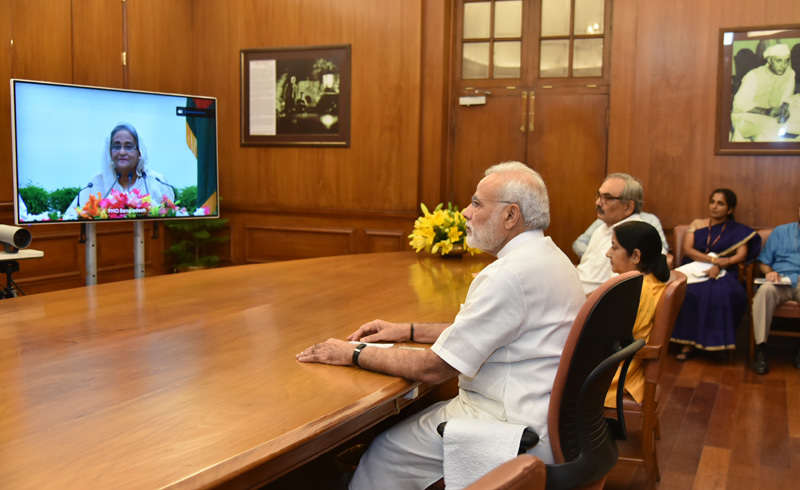 On July 21, 2016, the prime ministers of India and Bangladesh jointly inaugurated, through video-conferencing, Asia’s largest Integrated Check-Post (ICP) at Petrapole, 95 km from Kolkata, in North 24-Parganas district of West Bengal, with the West Bengal chief minister too joining on the occasion. This is regarded as a landmark development towards strengthening bilateral trade as well as the border management process. The Petrapole ICP, encompassing a modern land customs station, with ancillaries spread over nearly 100 acres, will have adequate passenger amenities, facilities for currency exchange and customs clearance, cargo processing and inspection, warehouse and cold storage, quarantine laboratory, etc. for the expeditious clearing of goods and the facilitation of movement of people. It will also ensure comprehensive security oversight on the movement of materials and people. The significance of this development can be appreciated by considering the fact that more than 50 per cent of India-Bangladesh trade is undertaken through this ICP. During 2015-16, trade valued at more than Rs. 15,000 crore was transacted through this point, which is more than all the land ports and customs stations of India, with about 1.5 lakh trucks and 15 lakh people passing through it. A decisive initiative for a better border management system, including the setting up of ICPs and land-ports with comprehensive functionalities, was taken by the Government of India quite some time ago during the 11th Plan period (2007-2012). This came in the context of consensual acceptance by different governments in New Delhi of the need for promoting a framework for the South Asia Sub-regional Economic Cooperation (SASEC) Programme. Since 2010, international agencies like the Asian Development Bank (ADB) have also assisted such initiatives involving India, Bhutan, Bangladesh and Nepal. However, in 2006 itself, the Cabinet Committee on Security had accorded in principle approval for establishing 13 ICPs, with seven in Phase-1 including one at Petrapole at an initially estimated cost of Rs. 172 crore. The land customs station already existing at Petrapole was to be upgraded and subsumed into an ICP. Construction started in 2010. Since 2012, the Government of India has attempted to factor in improvements in the Petrapole ICP project, in the light of the experiences gained with the first ICP operational at Attari on the India-Pakistan border in Punjab and the working of the ICP at Agartala along the Bangladesh border. The latest revelation of the Pakistani Terrorist Bahadur Ali alias Saiffullah, who was captured alive by the Indian security forces in Kupwara sector, that he had met Hafiz Saeed twice in the Muzzafarabad training camp, has dispelled the clouds of uncertainty and suspicion that had till now shrouded the ongoing turmoil in Kashmir. The involvement of Lashkar-e-Taiba (LeT), a jihadi terror organisation, in the current impasse has now been established beyond doubt. A close scrutiny of the videos featuring Hafiz Saeed that have gone viral on the social media and his interviews to the Pakistani media have established the fact that he is indeed the organiser-in-chief of the current turmoil. Saifullah’s revelations that include, talking with Burhan Wani and latter’s admission that “he is ready to die” a few days before the Kokernag encounter in which he was killed; telephonic call from Ashiya Andrabi seeking help from Hafiz Saeed and her ‘Pakistani brothers’; presence of an amir (leader) of LeT in the funeral procession of Burhan Wani; seeking of Indian visa by Jamat-ud-Dawa (JUD) – a cover outfit of LeT – for carrying out relief operations in Valley and collection of donations in the name of Kashmiris by JUD volunteers in Pakistan are indicative of the level of involvement of LeT in the ongoing unrest in Kashmir Valley. LeT, as mentioned earlier, is a jihadi terror organisation embedded in Salafi-Wahabi ideology and subscribes to a philosophy that seeks the establishment of an Islamic Caliphate. Pakistan’s Inter-Services Intelligence (ISI) is the main facilitator and coordinator for the fulfillment of this ambitious aim of the jihadists. The proposed caliphate in South Asia is referred to as Khorasan. In order to achieve this aim, ISI has positioned its resources strategically. While the Afghan-centric terror outfits like Haqqani network, ISIS and Afghan Taliban operate from Khyber-Pakhtunkhwa, India-centric outfits operate both from the western and the eastern borders with India, with organisations like LeT and Jaish-e-Mohammad (JEM) operating from Punjab and Pakistan Occupied Jammu and Kashmir (PoJK), while the ISIS, Al-Qaeda in South Asia (AQIS) operate out of Bangladesh. ISI has succeeded to engage India on both the sides, with the western flank more active in the current scenario. A fine clear-eyed biography of a man whose seminal contribution to India’s trajectory has been erased from the history books. In the new narrative resurrecting and venerating deceased Congress stalwarts ruthlessly cast aside by the Nehru-Gandhi dynasty, P. V. Narasimha Rao was the great liberalising visionary who pulled India back from the brink of an economic abyss. According to this narrative, Rao’s Finance Minister Manmohan Singh was not a reformer at heart; Rao was and Singh only championed and implemented economic reforms because his boss believed in and pushed them. Vinay Sitapati’s very authoritative biography of Rao provides a much-needed reality check. Rao, the author points out, was actually an orthodox socialist. His first mentor, Swami Ramananda Tirtha, was a Communist. As a minister in Andhra Pradesh in the late 1960s, Rao supported Indira Gandhi’s socialist bias and genuinely believed in economic controls. As Chief Minister in the early 1970s, he was very earnest in implementing land reforms. Sitapati quotes an incident from those days when Rao declared at a conference of backward classes: “We will not tolerate capitalists, even if he is a Harijan.” Twenty years later, he was not just tolerating but actually wooing capitalists. But was this an ideological transformation or a pragmatic one? Sitapati would like to believe it is the latter. China is Vietnam’s largest trading partner, and the communist parties that lead both countries have historically been close. But the two neighbors are also locked in long-standing territorial disputes over parts of the South China Sea. Anti-China sentiment is strong among the Vietnamese population, and Beijing’s increasingly assertive actions in the South China Sea in recent years have sparked public anger and protests. In 2014, at least three Chinese nationals were killed when rioting broke out in Vietnam after Beijing sent an oil rig into contested waters. Anti-China sentiment is strong among the Vietnamese population, and Beijing’s increasingly assertive actions in the South China Sea in recent years have sparked public anger and protests. 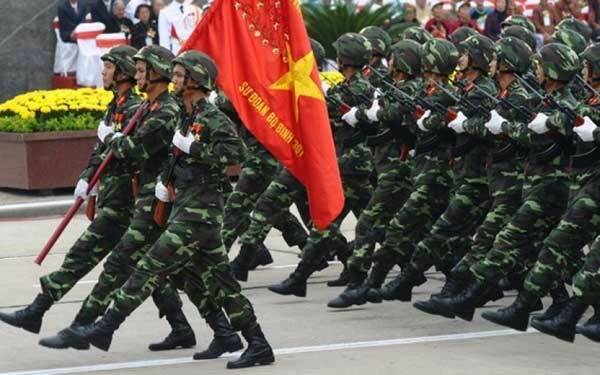 This February and April, the deployment of long range HQ-9 SAM’s (200km) and sixteen J-11Bs to Woody Island in the South China Sea has also evoked a diplomatic protest from Vietnam. Today, Sino-Vietnamese relations are again hitting a low point, particularly due to the South China Sea dispute. Meanwhile, Vietnam’s external threat has always been China. One of the biggest stories in Asian business is China’s One Belt, One Road initiative, an economic and diplomatic program that could transform trade. The future of trade in Asia could depend heavily on what becomes of China’s expansive One Belt, One Road initiative, which calls for massive investment in and development of trade routes in the region. In this episode of the McKinsey Podcast, recorded in May, McKinsey senior partners Joe Ngai and Kevin Sneader talk with Cecilia Ma Zecha about One Belt, One Road—what it really means, what it needs to become a reality, and why people should take it seriously. Cecilia Ma Zecha: Hello, and welcome to this edition of the McKinsey Podcast. I’m Cecilia Ma Zecha, an editor with McKinsey Publishing, based in Singapore. Today we’re going to be talking about one of the biggest stories in Asian business, China’s One Belt, One Road initiative, arguably its most ambitious economic and diplomatic program since the founding of the People’s Republic. AudioChina’s One Belt, One Road: Will it reshape global trade? To explain One Belt, One Road and what it means to business, I’m joined today by Kevin Sneader, McKinsey’s chairman in Asia, and Joe Ngai, managing partner of McKinsey’s Hong Kong location. Kevin, let’s start from the very beginning, particularly for anyone listening outside of Asia. But frankly, for many of us who live and work in the region, behind the diplomatic language and the policy speak, what exactly is One Belt, One Road? Overview of the Southern Theater Command. Larger version available at the bottom of the page. Note that not all units are represented. The South is one of China’s most important strategic directions (战略方向), as it is a major source of trade, fish resources, and potentially oil, gas and hydrate deposits. Two of China’s strongest economies, Guangdong Province and Hong Kong, sit at the center of the Theater Command. Xi Jinping visited the area shortly after becoming Chairman of the Central Military Commission (Beijing News, December 13, 2012; Gov.cn, December 12, 2012). In an interview, the STC’s commander, General Wang Jiaocheng (王教成), described the STC as “guarding the motherland’s Southern gate” and as having “shouldered the important mission of protecting [China’s] interests in the South China Sea” (Xinhua, February 29). Particularly in the aftermath of the ruling by the Permanent Court of Arbitration (PCA) on China’s territorial claims in the South China Sea, the STC, the organization directly responsible for enforcing China’s claims of sovereignty, demands closer scrutiny. This brief overview and the accompanying map are an attempt to highlight the key features of this important organization within the PLA. In early June, the Eighth Round of the U.S.-China Strategic and Economic Dialogue (S&ED) “welcomed” apparent progress on cyber security, an issue that has been among the most contentious aspects of this bilateral relationship in recent years (U.S. Department of State, June 7). As the official press release noted, the U.S.-China High-Level Dialogue on Cybercrime and Related Issues occurred last December and recently reconvened in June, and the inaugural Senior Experts Group on International Norms in Cyberspace and Related Issues took place this May and will meet again this fall. Since the previous U.S.-China cyber security working group had been suspended after the indictment of 3PLA hackers in May 2014, this resumption of substantive bilateral engagement on these issues constitutes at least an initial step toward the search for common ground on cyber security that these dialogues seek to advance. Though on opposing sides, the pragmatists and ideologues need each other. During the past couple of weeks, Turkey’s failed coup followed by a massive purge has consumed a great deal of my attention. But in our business we can’t afford to ignore the rest of the world every time one country has a crisis. Recently, we’ve noticed that Turkey’s main regional competitor was exhibiting some unusual signs as well. 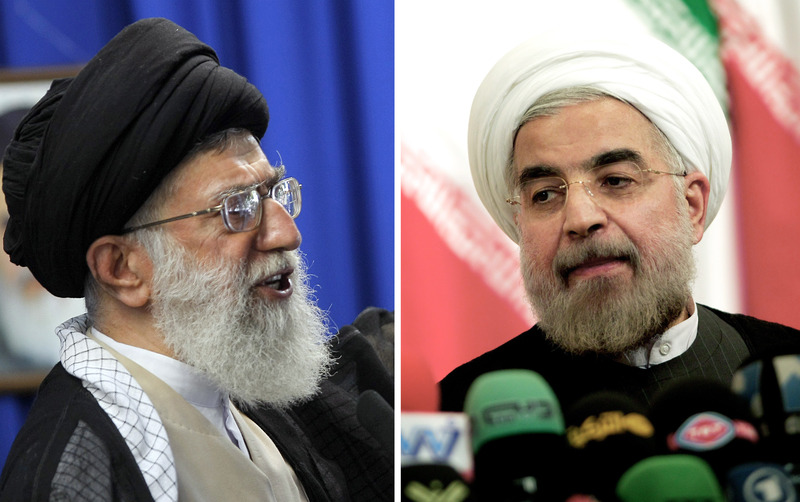 It is well known that Supreme Leader Ayatollah Ali Khamenei and President Hassan Rouhani are not on the same page regarding the nuclear deal. But for them to publicly contradict one another cannot be considered business as usual. On Aug. 1, Khamenei criticized the nuclear accord saying it had not made a difference in the life of the average citizen, which has been a key claim of the president and his allies. The same day, Rouhani praised the deal in a speech, saying it restored the glory of the nation and had given the country the choice to do business with many countries instead of only a few. Islamic State (IS) fighters attacked the Bai Hasan oil field in Kirkuk, northern Iraq on July 31, killing at least four people, including oil workers and security guards. Two coordinated attacks saw suicide bombers hit the oilfield and a nearby gas compressor station, causing a fire to break out (Iraq Oil Report, July 31). The attack temporarily closed the oil field, but the facility – despite the fire, which at that point was not yet fully extinguished – was reportedly back in operation less than 24 hours later (Rudaw, August, 1). In the following days, Kurdish security forces rounded up suspects of an alleged IS sleeper cell, arresting four people linked to the attack. Security forces tracked down the suspects using a mobile phone signal (Rudaw, August 4). The presence of IS agents in Kurdistan Regional Government (KRG) territory is not a new phenomenon. Several radical Kurdish clerics with links to IS were arrested last year, and there are claims that as many as 500 Kurds joined the group in 2014 (Rudaw, February 27, 2015; see also Terrorism Monitor, March 20, 2015). These agents, however, have staged few significant operations in the past. The Bai Hasan attack was a serious blow, especially in the context of efforts against IS in Iraq. Even so, it was not as disruptive as it might have been. “War is the work of man/war is destruction of human life/war is death. To remember the past is to commit oneself to the future/To remember Hiroshima is to abhor nuclear war/ Inscription on the monument commemorative Pope John Paul II’s appeal for peace. August 6 is celebrated as Hiroshima Peace Day and August 9 as Nagasaki Peace Day to remind the world that never again in history should such horror be re-enacted. In 1955, Bertrand Russell and Albert Einstein issued their famous manifesto seeking the abolition of nuclear weapons and appealing to all inhabitants of planet Earth: “Remember your humanity and forget the rest. Mankind is faced with a clear-cut alternative: either we shall all perish, or we shall have to acquire some slight degree of common sense. A great deal of new political thinking will be necessary if utter disaster is to be averted.” In 1957, the Russell-Einstein Manifesto led to the birth of the Pugwash conference on science and world affairs an organization devoted to ending the nuclear peril and reminding scientists of their ethical responsibilities for the consequences of their discoveries particularly in the area of nuclear threat to human survival. The movement for a total ban on testing of nuclear weapons was taken up in India by a group led by C.Rajagopalachari in 1962 he and his group was received by Khrushch in Moscow and by Kennedy in Washington DC. They also called on Secretary General U Thant at the UN headquarters in New York. All this propaganda against nuclear testing led to the formulation of the partial Test Ban Treaty, which was signed by the US the USSR and the UK. The seventh Review Conference of the Nuclear Non Proliferation Treaty (NPT) held in 2005 in New York ended in a deadlock. The five original Nuclear weapon states (the United States, Russia, The United Kingdom, France and China) showed themselves unwilling to take decisive action to implement their obligations under Article VI of the NPT to move decisively towards the irreversible elimination of their nuclear arsenals. Subsidies in higher education build bureaucratic empires with ever-larger numbers of administrators— while money devoted to the classroom shrinks. Normally, leftists get upset if there’s a big industry that charges high prices, engages in lots of featherbedding, and manipulates the political system for handouts. But, for some reason, when the industry is higher education, folks like Hillary Clinton think the answer is to shower colleges and universities with ever-greater subsidies. She says the subsidies are for students but I point out— in this interview— that the real beneficiaries are the schools that simply boost tuition and fees to capture any increase in student loans. And I also pointed out that the colleges and universities don’t even use the money wisely. Instead, they build bureaucratic empires with ever-larger numbers of administrators while money devoted to the classroom shrinks. Sort of a pay-more-get-less business model. Though that only works when there are government subsidies to enable the inefficiency and bloat. From Spain to the Baltics, Latin America and the United States, leftist ideologues and politicians hedge much of their political beliefs on the success of Nordic social democracy. However, in the Nordic countries themselves, this ideal image of democratic socialism has lost its shimmer. What the global Left also doesn’t understand is that a unique culture underlies the success in Nordic countries. In his latest book, Debunking Utopia – Exposing The Myth Of Nordic Socialism,scholar and author Nima Sanandaji, shows that the prosperity in Scandinavia predates social democracy in the region. He also proves that the reason for prosperity in the Scandinavian countries is not social democracy, as the Left would have you believe, but a culture based on hard work, healthy diets, social cohesion and high levels of trust. Given below are the first two chapters from the book. These have been published with the permission of WND books. You can buyDr Sanandaji’sbook here. On June 27, Russian President Vladimir Putin received a letter from President of Turkey Recep Tayyip Erdoğan, expressing Turkey’s willingness to restore ties with Russia (Kremlin.ru, June 27). Immediately, Gazprom spokesperson Sergey Kupriyanov announced his company’s openness to dialogue with Ankara on the construction of the “Turkish Stream” natural gas pipeline (RT, June 27). Turkish Prime Minister Binali Yıldırım also expressed Ankara’s support for the project (Sputnik News, July 15). Russian Deputy Prime Minister Arkady Dvorkovich said that Turkey confirmed its willingness to resume dialogue with Russia on the construction of Turkish Stream (News.az, July 26). Gazprom’s Deputy CEO Alexander Medvedev said that the establishment of a working group on project implementation was agreed and the intergovernmental agreement can be signed when Putin and Erdoğan meet in St. Petersburg later this August (TASS, July 26). The construction of Turkish Stream under the Black Sea to the Turkey-Greece border was announced during Putin’s visit to Turkey in 2014 and endorsed by a Memorandum of Understanding (MoU) between Turkey’s BOTAŞ and Russian Gazprom (Kremlin.ru, Gazprom.com, December 1, 2014). However, the two sides failed to sign an intergovernmental agreement. No permission was granted for offshore construction in Turkey’s waters—only for engineering and surveying (Oxfordenergy.org, February 2016). Although Gazprom had earlier agreed to a 10.25 percent price discount for BOTAŞ, that agreement was not fulfilled. Therefore, BOTAŞ brought a suit against Gazprom at the International Arbitration Court. Russia wanted to link the “price discount” with “pipeline implementation” (as a prerequisite to Turkish Stream), but Turkey wanted to treat both separately (Hurriyet Daily News, September 11, 2015; Independent Turkey, March 20). In September 2015, Gazprom announced it agreed with the Turkish partners that they would only be working on the first line (between Russia and Turkey) of Turkish Stream, reducing the pipeline’s total capacity from 63 billion cubic meters (bcm) per year down to 32 bcm (Novinite, September 7, 2015; Interfax, October 8, 2015). After the November 24 “jet incident” (see EDM, December 3, 2015), Russia’s Energy Minister Alexander Novak announced the suspension of further negotiations over Turkish Stream (RT, December 2, 2015). Many have speculated that the United Kingdom’s vote to leave the European Union will have negative consequences for the countries of Eastern Europe in general and the Baltic States in particular because London—hitherto one of the most outspoken defenders of those countries—will no longer be a participant in European forums. That may ultimately be the most serious consequence of Brexit for Estonia, Latvia and Lithuania. But there is a more immediate danger, one that at least some in Moscow hope will harm the three, simultaneously isolating them from the West and making their governments more susceptible to Russian pressure. 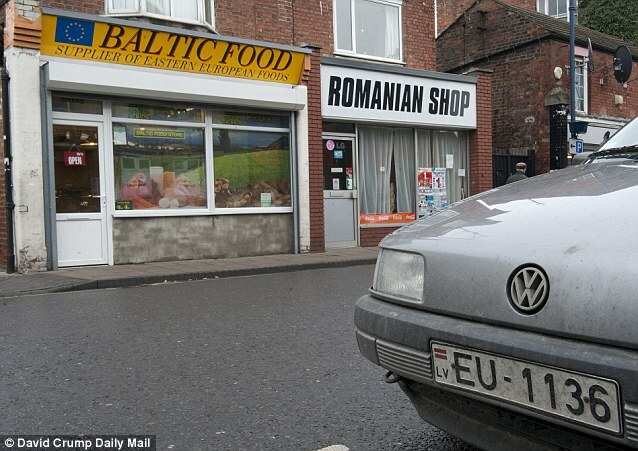 At present, there are nearly a third of a million Estonian, Latvian and Lithuanian citizens working in the UK. Negotiations on the terms of Britain’s exit from the EU have not yet started. But if the final deal compels the 200,000 Lithuanians, 100,000 Latvians and 20,000 Estonians in the UK to go home, their arrival en masse could create serious economic and thus political problems for Tallinn, Riga and Vilnius. 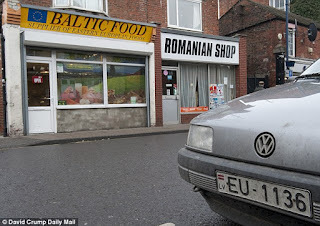 Such a sudden wide-scale return of Balts to their home countries would directly raise the issue of finding work for the returnees and indirectly call into question how Estonians, Latvians and Lithuanians will view Europe in the future. The complicated nuclear weapons geometry of Asia extends from the subcontinent to the other side of the world. While Pakistan’s nuclear arsenal is designed to counter India’s conventional and nuclear forces, New Delhi measures its own nuclear weapons program against that of China. Beijing, in turn, judges the adequacy of its nuclear arsenal against the threat it perceives from the United States’ strategic offensive and defensive capabilities. And in its efforts to mitigate the ballistic missile threat from North Korea, the United States and it allies in the region are expanding their strategic and theater missile defense capabilities. The full PDF of the Threat Assessment Brief is available here. Adversaries could target U.S. military energy sources as a means to disrupt cyber operations, the secretary of the Air Force said Aug. 4. In March, James announced the establishment of the office of energy assurance within the Air Force that is tasked with researching alternative sources of energy that can be generated on bases. “It’s really a recognition of the new world order, and it’s a recognition that several of our … core missions are really, really dependent on access to energy,” she said. James recently traveled to Europe where she met with various nations’ leaders. Two countries, Ukraine and Estonia, encapsulated the criticality of robust cyber defenses, she said.